CHARLESTON, S.C. — Fourth-seeded Anastasija Sevastova of Latvia was among three of the world's top 20 players who lost to unseeded opponents at the Volvo Car Open on Wednesday. Sevastova, ranked 12th in the WTA, fell to American Jessica Pegula 6-4, 6-2. Sixth-seeded Elise Mertens of Belgium, No. 17 in the world, was beaten by Kaia Kenepi of Estonia 0-6, 6-0, 7-5. 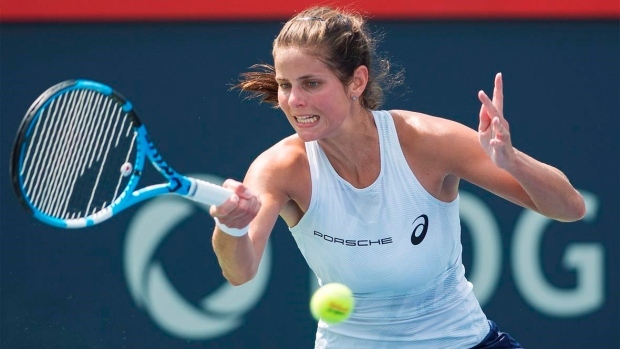 And Julia Goerges, the seventh seed from Germany who's ranked 15th worldwide, lost to American Taylor Townsend 6-4, 7-6 (0). Third-seeded Aryna Sabalenka of Belarus was down a set before rallying past Kateryna Kozlova of Ukraine, 3-6, 6-3, 6-3. Fifth-seeded Caroline Wozniacki of Denmark, the 2011 Volvo champion, won in straight sets, topping Laura Siegemund of Germany 6-2, 6-2 to reach the round of 16 at the season's first clay-court event. Eighth-seeded American Madison Keys, ranked 18th in the world, rallied from 4-3 down in the final set to oust Germany's Tatjana Maria 7-6 (5), 4-6, 6-4.